It is four years since Operation Protective Edge and Oron and Hadar are still not home. The remains of US soldiers who fell in Korea are on their way home after 70 years. It’s the fourth anniversary of Operation Protective Edge, where the objective was to eliminate or at least deal a crushing blow to the terrorist scourge in Gaza. It is also 13 years since Israel forcibly evacuated 9,000 residents of Gush Katif. These two events, though nine years apart, are very much interconnected. At a dinner event the other night we heard from Leah Goldin, the mother of Hadar, one of two boys killed in Gaza in the immediate aftermath of a ceasefire that was arranged by Egypt, the United Nations and the European Union. Not only were Hadar and Oron Shaul killed, but their bodies are being held in Gaza to this day. Obviously, the Goldins and the Shauls want their children’s bodies back so that they can be buried in a dignified fashion in Israel. In total, 83 young men lost their lives in Operation Protective Edge. Goldin’s remarks were made at a particularly interesting time. This summer, 70 years after the Korean War, there is rightfully still an intense relevance to the return of the remains of U.S. soldiers who lost their lives during that conflict so many decades ago. The return of the soldiers’ remains was a key part of the discussion between President Trump and Korean dictator Kim Jong-un back in June. Every day they cannot give them a dignified Jewish burial is tantamount to suffering an additional loss. Where are the humanitarians in Europe and the UN when it comes to the matter of burying these young sons? In fact, at a recent rally, the president recounted how during the campaign he was approached by those who lost loved ones in Korea, beseeching him to do whatever he could to bring the remains of their loved ones home. North Korea is a mostly closed society, sealed off and run by the same dictatorial family for decades. For about just as long, North Korea has been subjected to international economic sanctions. Part of the reason for those sanctions is the refusal of North Korea to return the remains of those who died in war. But now, due to the open-mindedness of President Trump and those international sanctions, North Korea has turned it around. Whether they will actually cease manufacturing nuclear weapons remains to be seen. But the remains of loved ones are on their way home. That is what Leah Goldin wants too — the bodies of her son and Oron Shaul to be released and brought back home for burial. At a forum in Jerusalem on Monday, Goldin commented that Israel is the only country in the world that feeds and provides for enemies who are bent on her destruction. She was, of course, referring to the Hamas terror group that has been holding her son’s body hostage for four years. The point she made is that those who perpetrate terror attacks directed at Jews and are killed by the IDF have their bodies returned for burial to their families in Gaza. 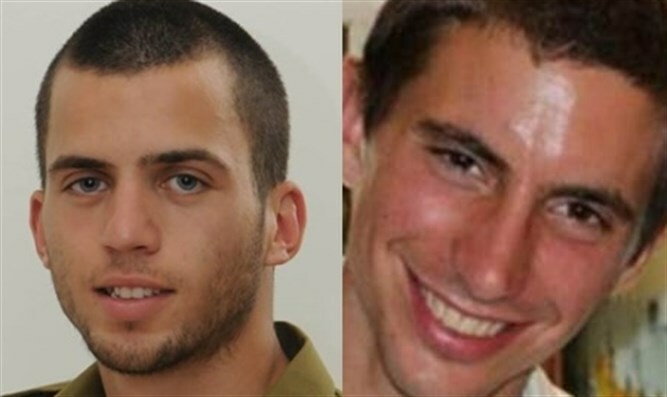 Some Israeli and Jewish activists have suggested that terrorists’ bodies be held by Israel until Hamas is ready to return Goldin and Shaul to their families. Israeli courts have said it would be legal for Israel to use the terrorists’ bodies as leverage, but the Netanyahu government refuses to do so. The sense here is that while Israel would be perfectly justified to hold onto the bodies, we, the Jewish people in Israel, are not barbarians like those in Hamas. This is just the way many in government and the decision-makers in Israel feel about the issue. They are not holding onto the dead children of people who live their lives hating Jews and Israel, regardless of the extenuating circumstances. On the surface, it would seem to most right-leaning thinkers that holding onto terrorist bodies so long as Hamas is holding onto the remains of Goldin and Shaul makes perfect sense. But the high moral thinkers in the IDF and the Netanyahu government do not want to be viewed by the world in that context. 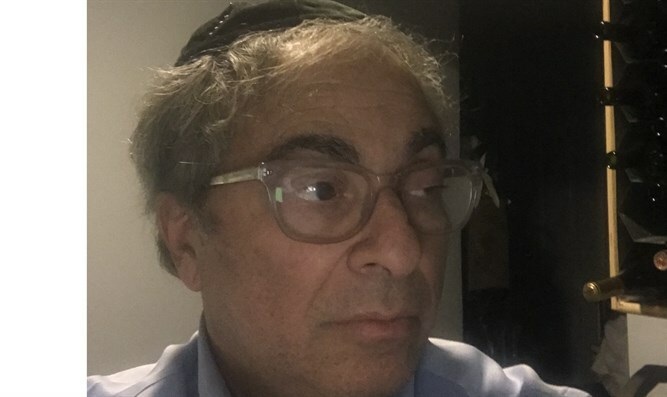 So while the Goldin family lost their son in 2014, every day they cannot give him a dignified Jewish burial is tantamount to suffering an additional loss. Where are the humanitarians in Europe and the UN when it comes to the matter of burying their young son? Leah says she has reached out repeatedly to the Red Cross. She knows that the Red Cross works in Gaza and they may have information on the boys and their bodies, but they are not sharing it. There is an imbalance and a hurtful tilt to this issue. Meeting the Goldins, one sees in their eyes both resignation and hopefulness. They don’t know when this nightmarish situation will finally end. It can end in an instant or, sadly, still drag on for years. The evil terrorists who manage Hamas do not usually exhibit sympathy or sensitivity, especially for Jews. The Goldins understand they have made a supreme sacrifice. But this is also a matter of principle. Hadar and Oron are casualties of war. They lost their lives protecting Israel and all of us. All their parents want is a dignified burial for their kids. But this has now become a political tug-of-war. Let’s hope that it comes to an end soon and the boys can rest in peace.